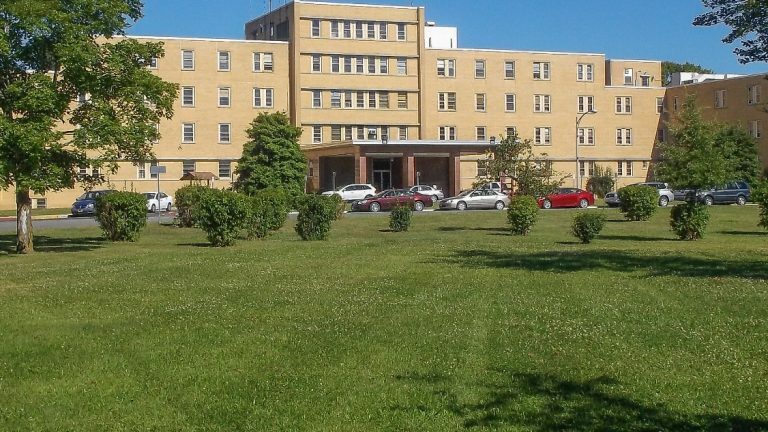 Ancora State Hospital in Winslow, New Jersey, had the highest number of assaults and deaths of all four state psychiatric hospitals within a nine-month time frame, according to a new report from the state Division of Mental Health and Addiction Services. From January to September last year, 77 moderate to major assaults occurred at Ancora. That includes patient-on-staff assaults and patient-on-patient assaults. A moderate injury is one requiring treatment beyond basic first aid from a medical professional while a major injury requires a hospital visit. Two patients died at Ancora, but the report calls their deaths sudden or medical in nature. In 2014’s report, Ancora and other state hospitals also included minor assaults that didn’t end in injury. That made the overall number of reported assaults much higher. Phil Lubitz, associate director of the National Alliance on Mental Illness in New Jersey, said that while moderate to major assaults are the most important to report, he believes there should be as much transparency as possible. Overall, moderate and major injuries have decreased at the hospital, according to the department. Ancora CEO Chris Morrison has increased staff training, restraint-reduction programs and more quality assurance monitoring. Still, mental health advocates are concerned over conditions at Ancora. Lubitz said he’s heard similar claims before. “Given the long-term record at Ancora, I think we just want to hold a healthy skepticism, a wait-and-see attitude,” he said. Ancora reported 17 more assaults than Trenton Psychiatric Hospital, which had the second highest number.